Yes, I know that St. Paul is oft-quoted as instructing that “the love of money is the root of all evil”. For some years now, it has been my sense that the real root of all evil is Pride. The polls don’t lie. There is no hard data yet, but one of the country’s best pollsters says he’s begun to pick up a hard edge in the qualitative responses that isn’t being fully reflected (yet) in the quantitative results. There is no drift back to Labor. It seems the ‘bounce’ the government received over Christmas (a) wasn’t real, and (b) was simply because people were seeing less of Gillard and Swan. But they don’t accept this yet. Currently, with Gillard leading and Swan as Treasurer, Labor will be booted so far into the outfield its remaining members will take on the appearance of a self-help group labelled ‘’Politicians Anonymous’’. This doesn’t concern the self-interested cabal that’s currently in charge of the party. Swan knows in his heart of hearts that the job is beyond him; that he’s electoral poison – he just can’t bring himself to admit it. Gillard knows the same thing and there is even a bizarre rumour that, if the polls don’t change (and they won’t) she’s prepared to stand down at the last moment and let somebody else take the party to the election. That would deprive voters of the one thing they really want to do: kick the government. 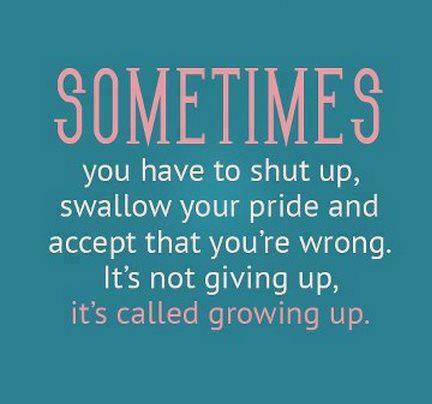 Both Gillard and Swan need to swallow their pride and depart. Mind you, since pride is, I think, the universal evil, merely seeing the back of Labor won’t change much. As we have seen previously (The Sociopaths Who Are Drawn To Leadership), it takes a certain kind of person to become a politician. Even moreso, a successful one. I am beginning to smell a rat. Labor is TOO EASY TO HATE!!! Are we being set up for a Liberal Landslide with an indisputably overwhelming mandate to do whatever they want to the country. Remember Obama? I got sucked in by the schmalz. NDAA, Drones, and Deficits.. I have an uneasy feeling.. Suspect many concerned about any overwhelming mandate given to any politician, as clearly to difficult to keep an eye on most changing whims, interests, policy decisions, which usually impact heavier upon members of wider community. Australian community, also politics, disadvantaged when policies can be decided, tabled, legislated when lacking is draft legislation available long enough for public study and debate. “Mandate” is an almost meaningless label purporting to claim clear endorsement for particular policy, when community rarely presented a single clear printed policy difference they can decide then vote upon.